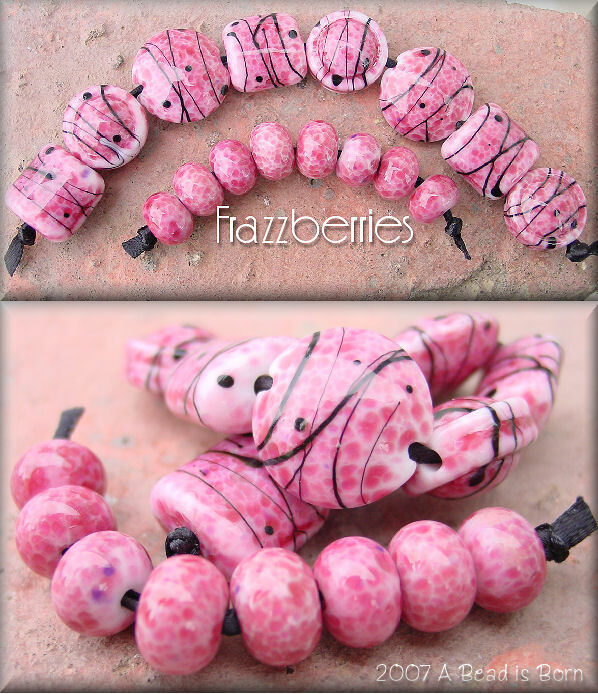 You'll get a variety of lovely beads, including pillows, lentils and lollipop shapes. All made on a base of white, then gloriously rolled in fuschia frit. To top them off, they're decorated with jet black whips. 8 beads measuring from about 11mm through 20mm, and 8 matching spacers to accentuate your jewelry pieces.